Good Omens Is A Radio Play, Listen Now! 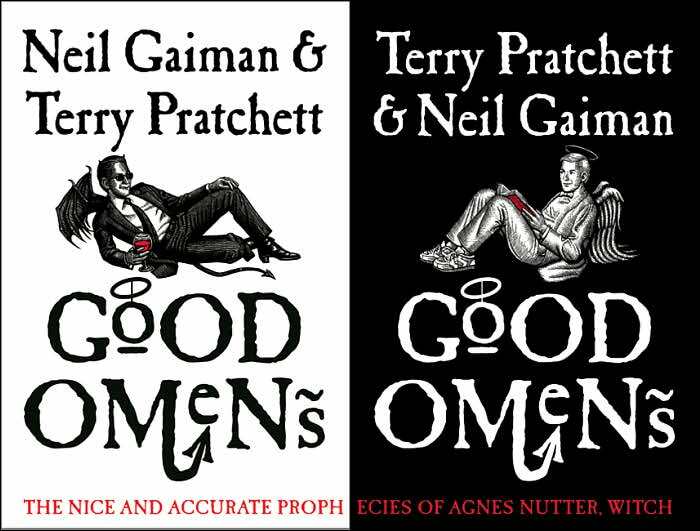 Did you know that BBC Radio 4 turned Neil Gaiman and Terry Prtachett’s (also I have never reviewed a Discworld book, huh) Good Omens in to a radio show? Well they did, you can listen to the whole thing here. I have only listened to the first episode, but it was pretty great, so I thought I would spread the news along. I will give you my take on the whole thing later, but since you only have 19 days to listen to the first half of the show, I though I would let you know now. Good listening, and don’t let the apocalypse get you down. Previous PostPrevious Shmee’s Most Anticipated Games For 2015! Next PostNext Stay At The Grand Budapest Hotel!